A quiet brunch calls for a new great restaurant that I got this from book. Why not 🙂 So after fiddling through all the pages, I landed on La Petite Camille, a restaurant in Greenbelt 5, most probably relatively new to its mall-mates, for I have never noticed it until I read it in the book. 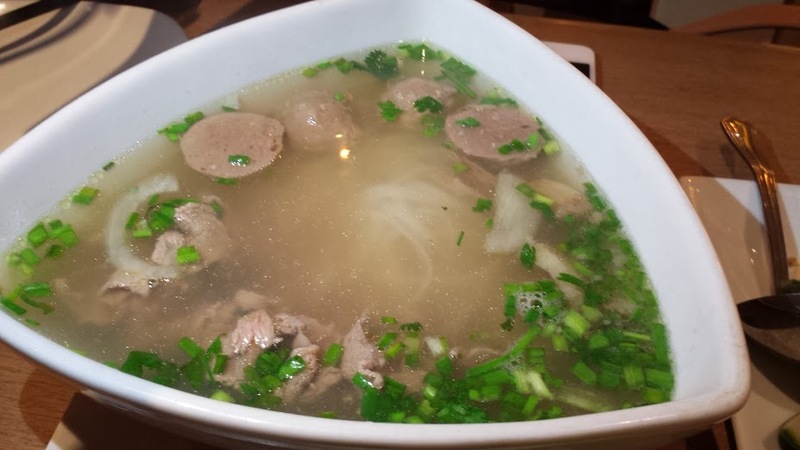 It said to be a Vietnamese restaurant. 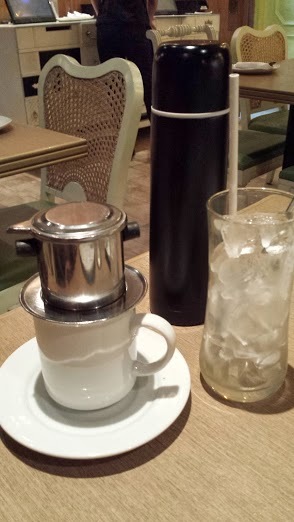 And after a great Bawai meal, I was up for another Vietname food challenge (not really a challenge, you know). So off we went. I was the first one to arrive at the place after some major walking around the mall not having realized it was at the other end of the mall. At around 11 am, the place only had another table being served. The place seem eclectic for a Vietnamese restaurant. Supposedly French inspired, with a cutesy theme. It’s yellow walls, which I expected to be sunshiney in effect, with dim lights, actually just appeared cozy. The mismatched seats and odd decor also kept that feel. But the food is what’s important. The raw beef salad was highly recommended by the book, but I am not ready for slices of raw beef. “Madugo po, ma’am. (It is bloody, ma’am)” comments from the server hardly excited me as well. 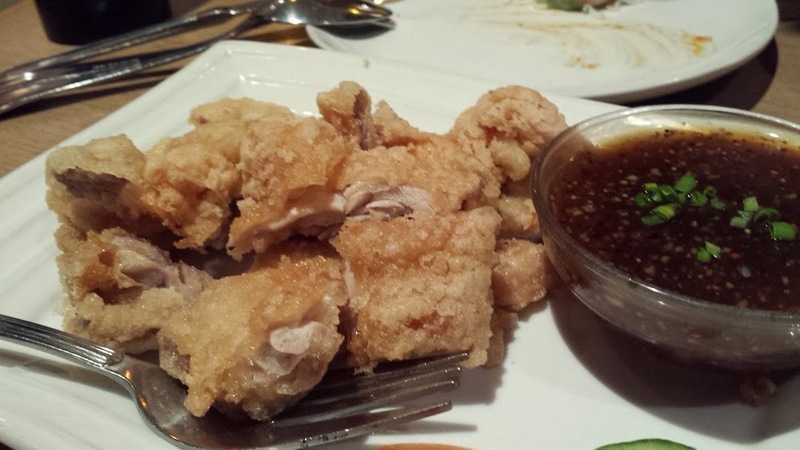 So we stuck with summer spring roll, pho combination, and some fried chicken in pepper sauce. Sushee and Ara both got iced Viet coffee as well. The thing I noticed was most were lightly seasoned, hence light in taste as well. 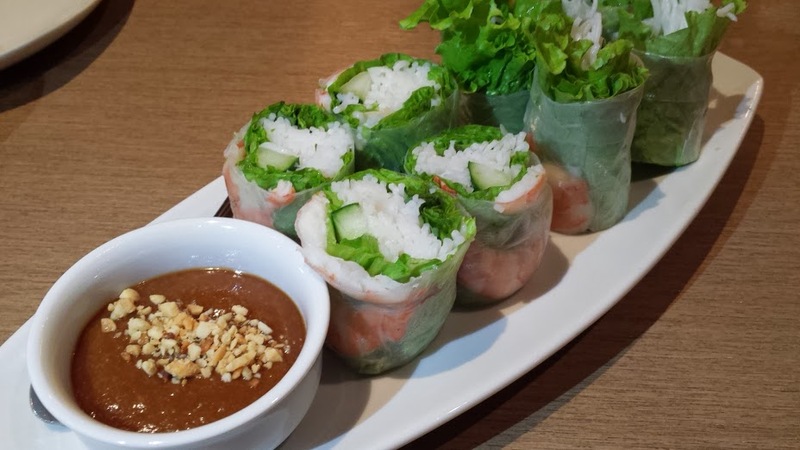 The spring roll was dull without its peanut sauce. The pho I added some chili paste and seasoning, the fried chicken was tasted of nothing unless you put the sauce in it. So basically, it’s a very clean taste of food, and the additional flavors are up to whoever is eating it. Feedback from the table varied though. Ara, who is not a fan of Viet food (mga gulay-gulay, I said) wasn’t that happy with the food. She liked the chicken, which could have easily passed for a Bonchon fried chicken fillet anyway. But I like eatlng light like that. The demographic of the followers of the resto seemed to be more on a the older side. People mostly look like they are aged about 40 and above. A couple of tables only were housing “kids” like us (and then it hits me I am almost just 10 years away from 40!). But you get the idea.